The Miles City Police Department participates in numerous fundraising events each year. You'll find details for each of these programs posted below. 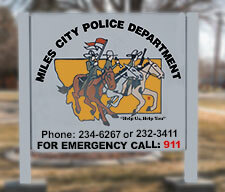 If you would like to make a donation to the Miles City Police Department, please contact us.